Jeff Thomson has enjoyed a career as a sculptor for three decades. 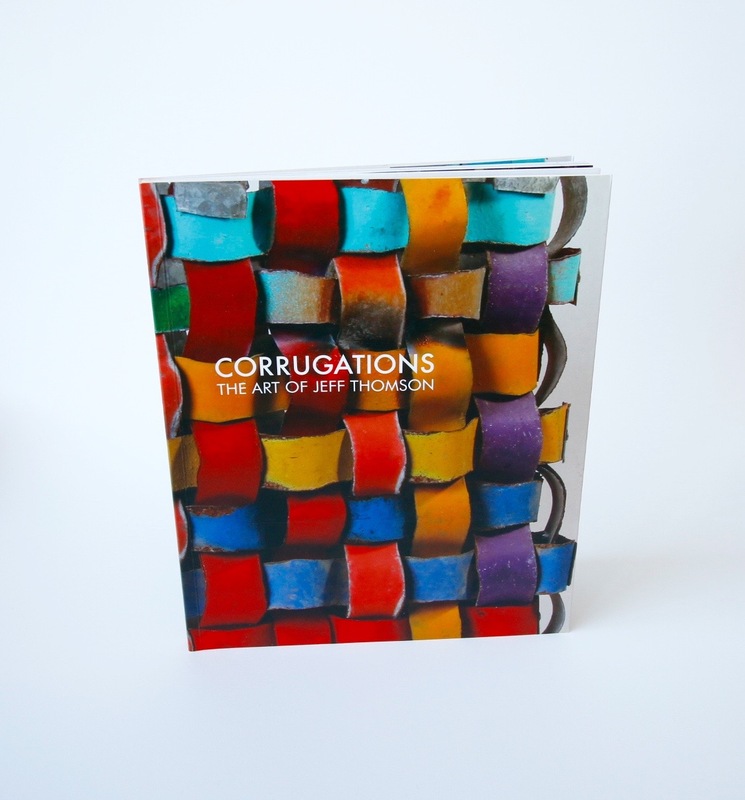 He is best known for his work with corrugated iron, but as this book showcases, Thomson has corrugated many different materials. This beautifully designed 120 page Jeff Thomson book, with works from Penelope Jackson, Robin Woodward and Jeff Thomson, is published by Tauranga Art Gallery, 2013.